You picked the best acts from YouTube. Here's how they did. 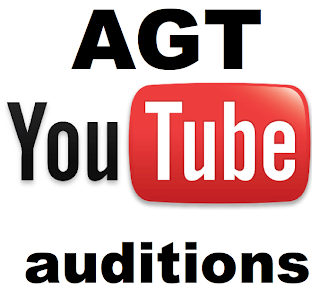 After thousands of YouTube videos were reviewed, America's Got Talent picked the top twenty. Fan voting cut the group down to the top twelve and on Tuesday, August 9, 2011, America's Got Talent presented the best of the YouTube Auditions. Piers Morgan set the stage by saying, "This is my favorite show. We've only seen these acts on YouTube and for many of them this is their first time on stage." Some could shine and many will fizzle. Since fan voting ends two hours after the show, I will not be including the voting phone numbers for the acts. After I do the rundown of the acts and the judge's reactions, I'll put in my two cents. TNC Elite - Clogging Dance Group - Charlotte, NC - They presented a lively performance, reminiscent of River Dance. Piers commented, "I think that was pretty good." Sharon was not impressed, "Does traditional dance go with contemporary music? I don't think so. It seemed like the dancing was fighting with the music." Howie felt it seemed like a tap dance recital. Brett Daniels - Illusionist - Milwaukee, WI - This 50 year-old performer has been in show business for years, but he gave up his dream. AGT was giving him an opportunity to take a shot at the big time. His act featured a tribute to Marilyn Monroe. About halfway through his act, Piers hit him with an X. Sharon liked the act but felt the presentation was slow. Howie was positive about the idea and thought it had potential. Piers cut to the chase, "A Vegas act needs speed, dynamism, pizzazz, and your performance was lacking. - - Suddenly, Howie started attacking Piers with a fart machine. I guess it made fart noises and emitted smells. Even Nick Cannon said he could smell it up on stage. Gabe Rocks - Bulldog doing tricks - Bellingham (? ), WA - The bulldog, Gabe, did some basic tricks, rang a buzzer when asked what Piers Morgan does and lifted his leg on a cardboard cutout of Piers, to which Piers added, "I cannot wait to see the back of this act, leaving." Sharon was at the other end of the spectrum, "Absolutely sensational. This dog is worth a million dollars. Howie was just as enthused, "Gabe will steal America's heart and people will fall in love with his face." AEON - Street acrobatics - Los Angeles, CA - These guys jumped and flipped from towers and bounced with their feet off of stationary objects. Piers buzzed them before they finished. He said, "Poorly coordinated and poorly choreographed." Sharon said they were very clever, but also very repetitive. Howie,"I loved that. You blended that sport with music to make it very edgy and intriguing." Breena Bell - Contortionist/Dancer - Lincoln, AL - Tiny Miss Bell, twisted and turned her body around in ways where you thought she had no bones. Piers, however, showed no mercy with the buzzer and zapped little Breena near the end of her performance. "I think you're a gymnast and you should be in the Olympics, but not here on America's Got Talent," quipped Morgan. Sharon and Howie were on the same page, saying that Breena - who is only 4 or 5 years old - should give it some time and come back when she is older and stronger. Kevin Colis - Singer/Musician - TX - Kevin can sing, play guitar and he looks good. Howie offered a word of caution, "You did great. But are you great enough?" Piers offered his most positive comment of the night, "I think you've got a good voice. The singers are not that strong this year as in previous years. You could be two songs away from a million dollars." GYMKANA - Acrobatics Troupe - College Park, MD - This group of college kids has been performing for high schools for years. The older students teach the new students what to do. They were exciting and different. Sharon was thrilled, "I cannot believe you're not a professional act. It was brilliant." Howie, "You guys are WOW. You've got a real shot at this." Piers,"It was a little repetitive. But for a first show - brilliant." Kalani Basketball Freestyle - Before Kalani performed, Howie said, "This guy is like a one man Harlem Globetrotters." Unfortunately, the pressure may have been too much and he dropped the ball, literally, twice. Piers hit him with an X right before he ended his routine. Howie added, "I don't know if it's a whole show." Piers,"You can only drop the ball once." Sharon,"You made me nervous for you." West Springfield Dance Team - Dance/Performance Art - West Springfield, VA - Performing all in black with make-up and contact lenses that made them all look like the living dead, this group offered some original moves and a well choreographed show. Piers said,"I wondered, could you live up to the potential on the YouTube tape? Yes!" Sharon exclaimed,"Spectacular." And Howie waved his arms, "You are great!" Matt Wilhelm - Bike Tricks - Chicago, IL - Matt was the number one vote getter from the YouTube auditions for America's Got Talent. His AGT audition was filmed on a cell phone. He calls his act - break-dancing on a bike. Using black lights and day-glo colors on his bike and his outfit, he wowed the crowd. Sharon said,"That bike is like your dance partner." Howie felt that Matt had put together some of the most popular elements on AGT - black light entertainment, dance, cycle tricks and lots of great moves. Piers added,"That cell phone video could take you very close to a million dollars." Powerhouse Choir - Show Choir - California - This large group of mostly high school kids moved and sang in a Glee style. If you like Glee. If you like Glee. If you like Glee, you probably liked this group. Howie didn't and buzzed them before they finished. He said it was like "Glee light." Piers,"In a strange way, it made me happy. It's kinda like Glee meets Star Trek." Sharon gushed, "Fabulous." When I watch these performance shows on America's Got Talent, I put a star next to the act that I think did well enough to move on to the next round. Through the first five acts, I was wondering if I could come up with four that were worthy of the semi-finals. The cloggers, were interesting, but there is a reason that clogging is only performed at festivals in West Virginia, Kentucky and other hill country parts of the nation. Brett Daniels lacked flair with his illusions. Ho-hum. If you want silly dog tricks, watch America's Funniest Videos - nix the bulldog. AEON - brought a lot of energy, but it was repetitive and a mish-mash of stunts and jumps. Breena Bell was cute for 60 seconds. The last 90 seconds I didn't care if she could touch her toes to the back of her head. Kevin Colis, though, had a great performance. Even though he'd never performed in front of a crowd like this, let alone a massive television audience, he showed great confidence and stage presence. He got a star from me. Beth Ann Robinson is an amazingly talented dancer, but a solo dance act does not make a show. GYMKANA - was the first act I'd ever seen perform with ladders. They were exciting and looked great on TV. Another star. Kalani dribbled himself out of the competition. The West Springfield Dance Team got raves from the judges and they had a couple cool moves, but I don't know if they are as dynamic as some of the other dance groups. I didn't give them a star until the show was completed. Matt Wilhelm and his neon bicycle is the one to watch. He has theatrics, dance skills with the bike, excitement and he made the crowd explode. A definite star in my notebook. Powerhouse - Hmmmm. If you like Glee. If you like Glee. If you like Glee. Well - I don't. Good-bye. Wednesday, four more America's Got Talent contestants will move closer to the $1 Million prize and a headlining show in Las Vegas. Next week are the "Wild Card" performances. Previously eliminated AGT contestants will get a second chance. Author's note: For several weeks, I had no computer and was unable to write up the Hollywood #3 and #4 performances and results. I just got a new computer August 9th and will go back and write up those four missed shows, so you can look back and check on your favorite acts and what happened to them. I apologize for not being able to do the work, but I had no control over the situation. Thankfully, I'M BACK!